Enteroviruses, including the ones that cause hand, foot and mouth disease, trigger outbreaks in predictable patterns. Some of these viruses, which can lead to everything from fevers, rashes and blisters to meningitis and heart infections, circulate every year or every two or three years. But it's been unclear how foreseeable those patterns are. Now, based on Japan's birthrate and how many people already had been infected, researchers were able to accurately predict outbreaks of 18 out of 20 enteroviruses. 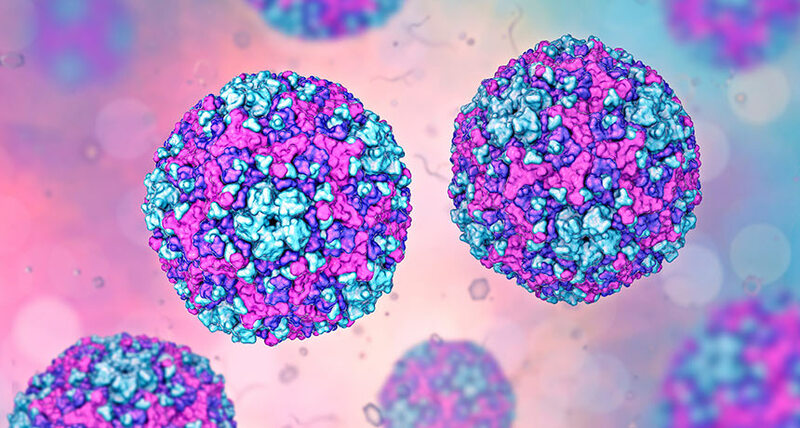 The other two tricky viruses had mutated to become more virulent, more easily transmissible or less visible to the immune system, infectious disease modelers Margarita Pons-Salort and Nicholas Grassly report in the Aug. 24 Science. Pons-Salort and Grassly, both of Imperial College London, conducted their research with data from Japan, because it is one of the few countries that keeps track of viruses spreading in the general population. Health centers there routinely draw blood from people and test for antibodies to determine which enteroviruses people have been exposed to. Pons-Salort and Grassly examined 17 years of data collected from 2000 to 2016 to build and test their mathematical model. Before this study, researchers didn't think enteroviruses were predictable, Pons-Salort says. The viruses are similar to each other, and antibodies to one variety sometimes will attack another variety. Scientists thought this "cross-reactivity" could change how the viruses spread and make tracking individual varieties difficult, if not impossible. But some of the viruses appear in regular cycles, so the researchers were hopeful that they could track at least some, Pons-Salort says. She and Grassly started with a simple scenario: Catching an enterovirus would cause people to produce detectable antibodies that would make individuals immune to the virus for a long time, even for life. Birthrate would determine how long it would take for enough children susceptible to the virus to build up in the population to enable an outbreak. Japan's declining birthrate means that it should take longer than it used to for an outbreak to occur. And in fact, one enterovirus called coxsackievirus A4, one of the hand, foot and mouth disease culprits, had switched from causing yearly outbreaks from 2000 to 2004 to now causing outbreaks every two years. That pattern mirrored what happened with measles in Japan. Immunity and birthrate data help predict measles outbreaks. So using that same approach, Pons-Salort and Grassly detected disease patterns established in 2000 to 2014 that predicted how 18 of 20 enteroviruses behaved in 2015 and 2016. The two other viruses, coxsackievirus A6 and echovirus 18, initially behaved one way, but then their patterns changed. Altering variables in the model helped the researchers determine what probably happened in each case. Before 2009, coxsackievirus A6 caused herpangina, a condition in which small blisters form on the back of the throat and roof of the mouth. Now the virus is a leading cause of hand, foot and mouth disease worldwide. A change in 2010 that made the virus five times as virulent as its earlier form could account for the switch, the researchers calculated. Around 2006, something different happened to echovirus 18, a virus that can cause meningitis in children, Pons-Salort and Grassly found. Either a 9 percent increase in transmissibility or a change in a surface protein that influences how the immune system recognizes the virus could produce the pattern switch that the researchers observed.